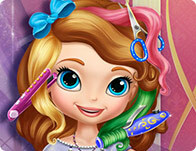 Description: Princess Tiana Gorgeous Makeover is a spa game for girls to play free online. The spell of Tiana has been broken and she has turned back from frog to her usual self. But her face has lost all the charm and beauty it possessed before. Now that she is a princess, she must .... Click play Friv uno now!